Bathroom exhaust fan lint is a FIRE HAZARD! In 2014, bathroom exhaust fans were involved in three residential structure fires within the Countryside Fire Protection District. Fortunately, there were no injuries. However, these exhaust fan fires caused over $100,000.00 in smoke and property damage in addition to displacing residents for months while repairs and restorations were completed. 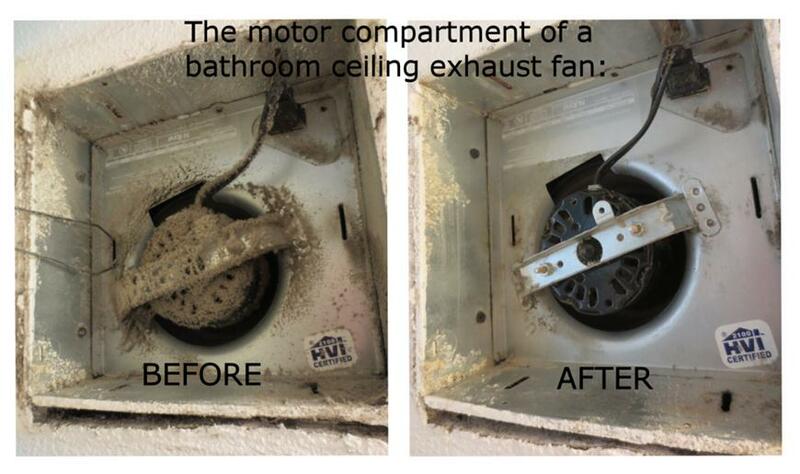 Inspect and clean all bathroom exhaust fans as necessary and per the manufacturer’s recommendations, be sure to place on a regular cleaning schedule. When cleaning, remove the fan cover to clean and remove lint from around the motor, paying careful attention to all air-flow areas. Wash the fan cover in warm soapy water to remove all lint. If there is any mold growing, add bleach to the cleaning mixture. Make sure the cover is completely dry before putting it back up. If some fans are not easily accessible for regular cleaning, or appear to have evidence of heat damage, or do not turn freely, they should be replaced with thermally protected units. Please remember that bathroom fans should only be used for brief periods of time, such as during a shower. Many people run them excessively or even forget that they are on. Consider installing a timer switch instead of a manual switch to limit the unnecessary use of the fan. Turn off all fans as soon as they have done the job. Yes, this adds some time to your cleaning routine … but it’s worth it to decrease your risk of a fire. So please work it into your routine, keep it clean and be safe. Countryside Fire District recognizes the National Fire Protection Association Case Forensics John Hall, Soraya McLaughlin on Positively Naperville, Mini Mops and the Rancho Cucamonga Fire District as contributors to this information. For a printable brochure, please click here.